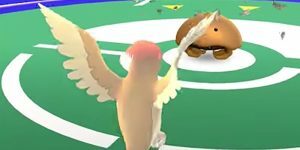 It turns out; there is a host of acronyms in Pokemon Go, and you’re better off getting well acquainted with them and most importantly what they mean. Two of these acronyms are CP and HP. 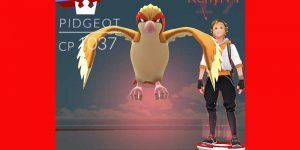 What are CP and HP in Pokemon Go? For starters, the two acronyms denote Combat Power and Hit Points respectively. 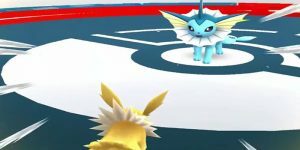 The CP measures how powerful your Pokemon is and by extension how well it will perform against another Pokemon during Gym battles. HP, on the other hand, represents the maximum amount of damage a Pokemon can take in Gym battles before fainting. 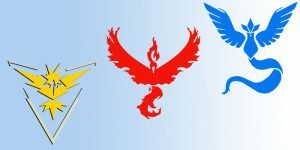 Each Pokemon has HP and CP. All monsters start out with full HP at capture. However, the HP can be depleted during battle. Each Pokemon is assigned CP at capture. It is worth noting that not all Pokemon have the same CP. For instance, if you capture two Pikachu, it is not automatic that they will have the same CP. As you acquire more XP and become a higher level Trainer, the CP of the Pokemon you capture is typically higher. Keep in mind that some types of Pokemon will naturally have lower CP even when you capture them at higher levels. That said let’s have a closer look at CP and HP. What is Pokemon Go CP? First things first, how can you get a rough estimate of your Pokemon’s CP? Above every Pokemon’s head is a curved white bar. A bar all the way to the right indicates that the monster is at its current maximum CP while a bar all the way to the left means that the CP is at its lowest. That said, why does a Pokemon’s CP matter? Well, like stated earlier on, the CP represents the monsters strength. 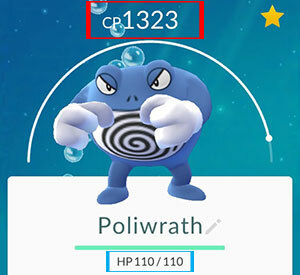 Thus, the higher the CP value of a Pokemon, the more damage it will cause during battle. It, therefore, means that your odds of winning a Gym battle are higher if the CP of the Pokemon you’ve placed in the Gym is high. It is needless to say that you will want to have your Pokemon’s CP at its maximum. Evolving the Pokemon is the best way increase the CP. You will use Candy and Stardust (we have covered that in another topic) to evolve the monsters. Nonetheless, take note that evolving a Pokemon will increase its overall CP but not the percentage of its power. 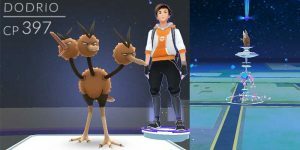 For instance, if your Trainer level is 10 and your Pidgeotto has a combat power of 177 (out of a maximum of 300), evolving it to a Pidgeot will increase its CP to 312 (but out of a maximum of 500). In essence, this means that a Pokemon evolved at a low CP will have lesser power compared to others of its kind. 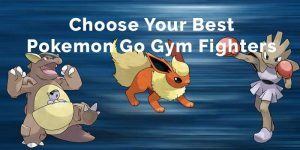 However, because the CP ultimately determines your Pokemon’s performance in Gym battles, it is important to choose the Pokemon to power up wisely. You are better off powering up Pokemon that already have a high CP preferably 80 to 90%. Pokemon of higher level Trainers will have greater potential CP levels in comparison to that of lower level Trainers. 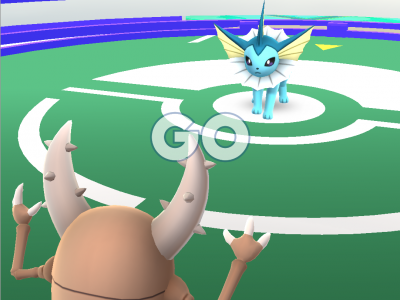 When visiting Gyms, the CP of the defending Pokemon can be seen even before you decide whether to take the challenge or not. 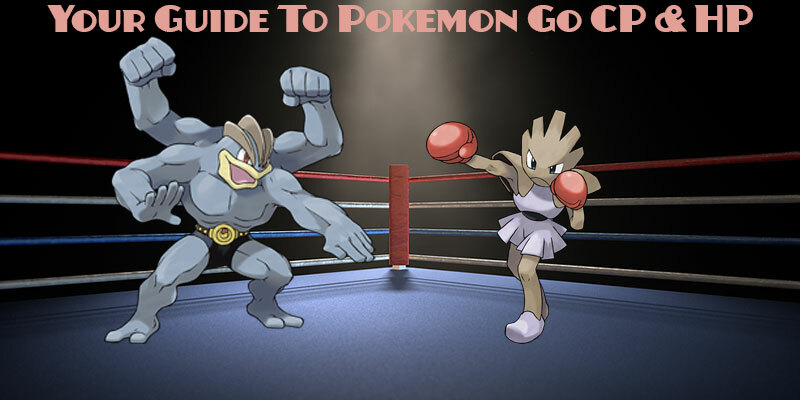 Combat Power makes things easier when facing your rival in Gyms. It might also influence your decision about the type of Pokemon you want to capture and keep. Essentially, you want a monster that can help your team defeat a rival gym so be sure to keep the most powerful Pokemon. What is Pokemon Go HP? The HP value of your Pokemon determines the damage it can receive during battle. When the monster’s HP is down to zero, the Pokemon will faint. HP is the most frequently affected stat in Pokemon Go because depleting it is an essential factor in winning a battle. HP is portrayed as a long, horizontal bar that changes color depending on how much the Pokemon has left. The numerical values show the current total HP. Needless to say, the higher the value, the more damage the Pokemon can take. If you want to ensure that your Pokedex is adequately padded will lots of HP, be on the lookout for specific Pokemon. Apparently, the Pokemon with the highest value of HP is Chansey with a total of 500 which means it can survive more hits well above any other Pokemon. Other monsters with high levels of HP are Snorlax with 320, Wigglytuff, Lapras, and Vaporeon with 250 HP apiece. Interestingly, none of these Pokemon is anywhere near the top as far as CP is concerned. What happens if a Pokemon is losing its HP? Does it mean you that you should let it faint and probably lose the battle? As long as a Pokemon has not fainted, you can replenish its HP using Potions. Potions are collected at PokeStops and may restore between 25% and maximum HP depending on the type of Potion you use. To restore you Pokemon’s HP, simply tap on the Poke Ball icon located at the bottom of your screen. This will lead you to the menu where you will select Items and choose a potion. You will then be directed to a different menu showing you the HP of the injured Pokemon. Tap on the Pokemon whose HP you want to restore. At higher levels, you might have to use a few potions to restore the HP of injured potions. When restoring your Pokemon’s HP, be sure to consider the CP as well. 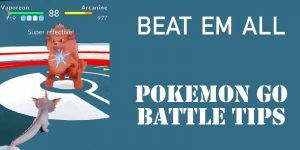 Prioritize on Pokemon that has a higher level of HP because it’s likely to last in the gym longer and hopefully, help you win the battle. 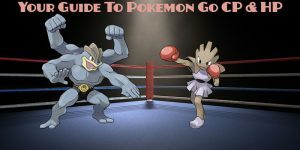 HP and CP are important stats that you should be monitoring consistently if you intend to participate in Gym battles because their levels will determine how well you succeed in the fights. But don’t worry even when you lose, you can always place your Pokemon in another Gym as long as you have significant amounts of Candy, Stardust, and Potions to power them up and restore HP.